Righteous Rebecca. Acrylic and gold leaf on birch panel, 5x7"
I was recently commissioned to paint an icon of Saint Rebecca, wife of the Patriarch Isaac, whose life is recorded in the book of Genesis. She is wearing the earrings and bracelets given to her by Isaac's servant as a pledge of betrothal (Genesis 24:22). 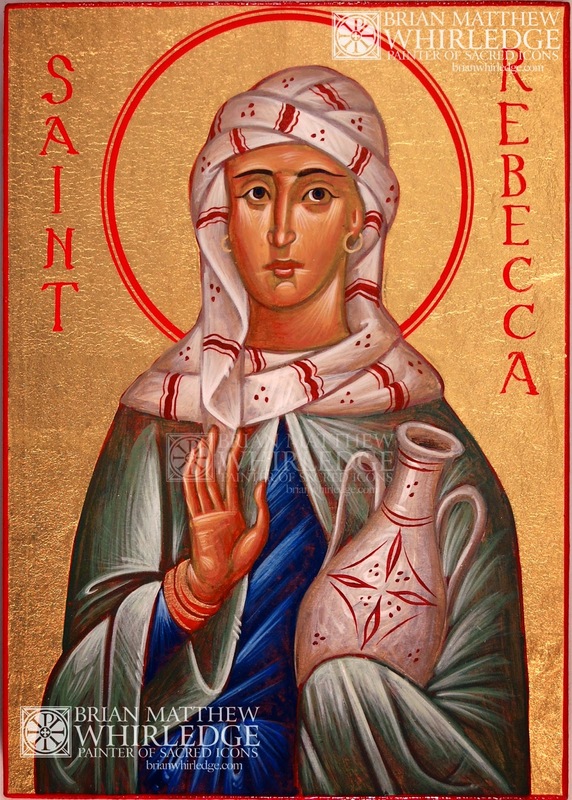 She is also holding a pitcher, from her prophetic encounter at the well with Isaac's servant (Genesis 24:15-21). Her pitcher is based on contemporary Mesopotamian pottery. 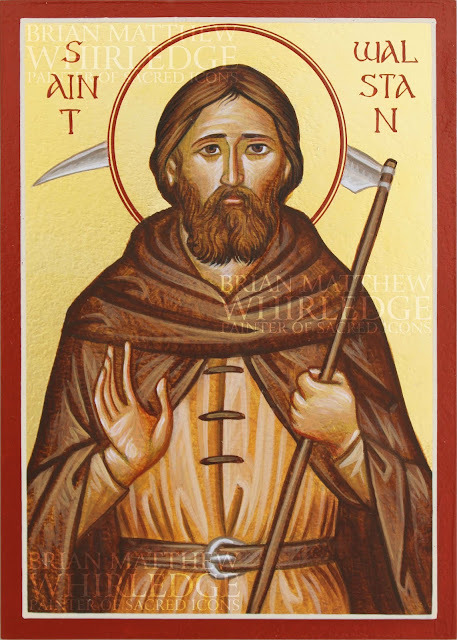 This event foretells Christ's encounter with the Samaritan woman at Jacob's Well in which Christ finds his bride, the Church (John 4). 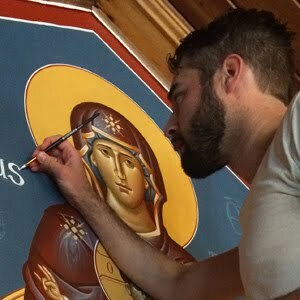 This commission has been a welcome opportunity to return to paint my wife's patron saint. 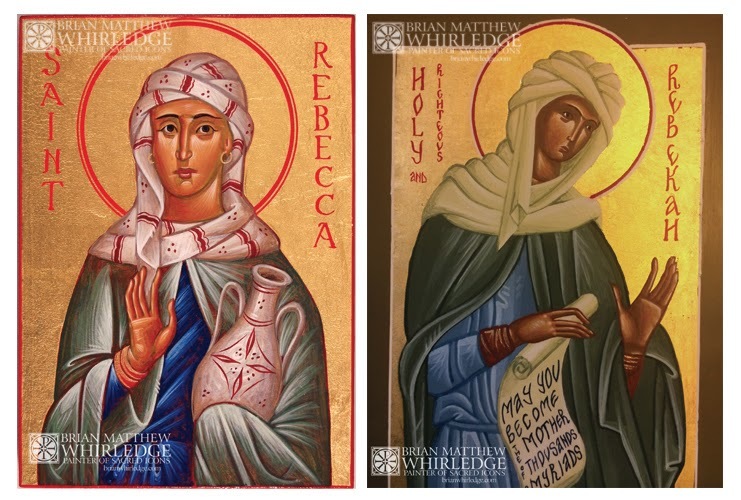 On left is an icon of St. Rebecca of the Old Testament that I just completed. 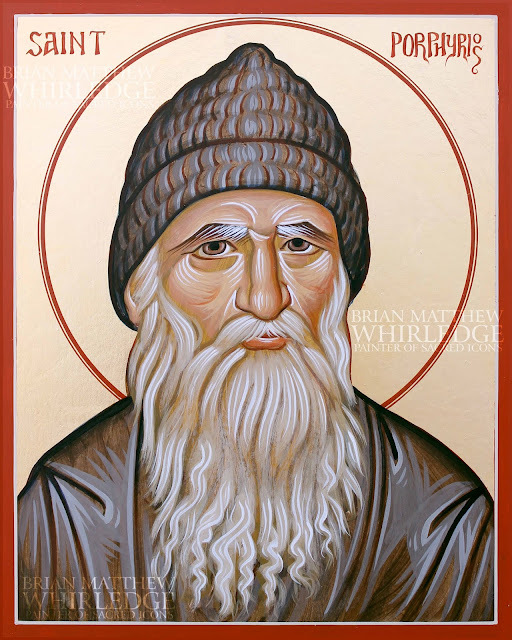 On the right is an icon of the same saint that I painted five or so years ago. It's amazing what a difference five years of continued practice and learning makes! Hello, as much as you appear to prefer your more recent "Rebecca," I'm wondering if you're still selling your older rendering with the "Rebekah" spelling? I'm wanting to buy for one of my new Goddaughters and basically can't find that spelling anywhere. Thanks!